Born in Tipperary in 1850, Agnes was one of the millions of Irish who had to emigrate in search of a living. Because British imperialism sought to keep Ireland (apart from a small area around Belfast) as a supplier of cheap food and labour to their empire, there was little industrial development and many had to leave Ireland to find work. Agnes went to London. She was a student of pre-school education, and together with a veteran of the 1871 Paris Commune, Louise Michel, she ran the International School at 19 Fitzroy Square. Along with others, including future British Labour Party leader Ramsay McDonald, she lived in a communal house at 29 Doughty Street, Bloomsbury until it closed in 1892. The tenants had their own rooms and but ate their meals together, which was considered far from respectable at the time. 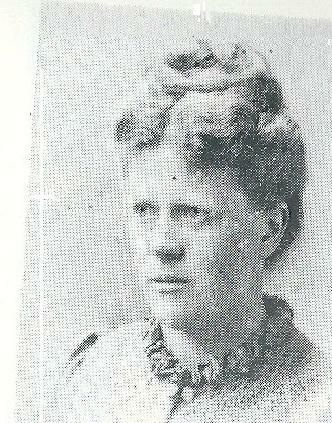 According to historian Nick Heath she annoyed other tenants by wanting to discuss anarchism over breakfast! The Italian anarchist Errico Malatesta, then in exile in England, made frequent visits to discuss anarchism with her at this address. She wrote for the anarchist paper Freedom and conducted speaking tours of England and Scotland making the case for ‘anarchist socialism’. Among her writings are Women under Socialism (1892), Anarchist Communism in Relation to State Socialism (1896) and The Probable Evolution of British Socialism Tomorrow (1896). Also in 1896 she attended the Congress of the Second International held in London, acting as a delegate for French syndicalists unable to attend. Towards the end of the 1890s she was one of several anarchists to join the Independent Labour Party, representing some temporary loss of confidence within the English movement. Other indications of this were the decline of both open-air and printed propaganda, with the movement not recovering until around 1903. Heath’s researches show Agnes Henry was listed on the Roll of Honour of Suffragette Prisoners 1905-1914 (compiled by the Suffragette Fellowship around 1950, based on recollections of participants), and appears to have been one of those arrested during the pre-World War 1 campaign. One of her last public appearances was in 1912 when she spoke at a rally in Trafalgar Square as part of the successful campaign to prevent the deportation of Malatesta from Britain. “In anarchism I see the only base for women to escape marriage without love and obligatory maternity, and the degrading laws and servile customs to which women of all classes have been subjected for so long”. 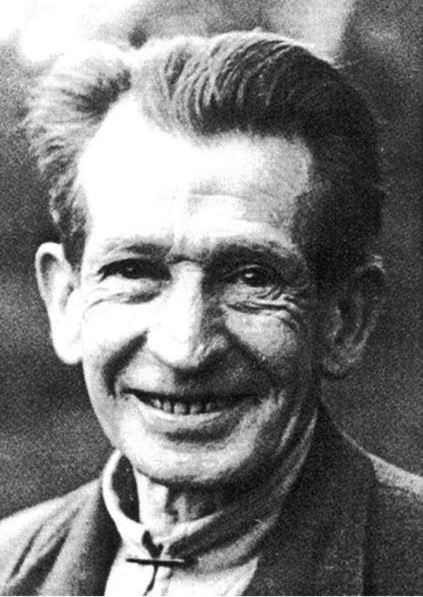 Mat Kavanagh was a Liverpool-Irish anarchist who, in a lifetime of political activity, worked alongside such well known revolutionaries as Peter Kropotkin, Rufolf Rocker and Ericco Malatesta. This obituary was published in the British anarchist paper, Freedom, in 1954. Born in Limerick in 1876, he moved to Liverpool and became involved in the anarchist movement in his teenage years. A good public speaker, he often spoke at the Sunday morning anarchist meetings at the Monument in Liverpool’s city centre. In 1912 he was chosen to be one of the speakers at the mass rally in Trafalgar Square against the threatened deportation of the celebrated Italian anarchist Malatesta. Like the vast majority of anarchists, he took a strong anti-militarist stand during World War One. One of the great sadnesses of his life was to occur at this time. His only son was conscripted and died in the fighting. John Hewetson in his obituary says that “in 1916 Mat went back to Dublin to take part in the activity initiated by Connolly and Larkin”. However, we have found no confirmation of this. The accuracy of Hewetson’s account is questionable as Jim Larkin was in America at that time and was not involved in the preparations for the rising. As the Spanish civil war brought new interest in anarchism, Kavanagh spoke at the first open-air meeting of the newly-invigorated anarchist movement in Paddington in 1936, an attempt to start a series of mass meetings. It came under attack from the fascists who were successfully driven off. The following year Kavanagh met up with Jack White of Irish Citizen Army and Republican Congress fame, who had moved to anarchism as a result of his first hand experiences whilst fighting Franco’s fascists. They worked together on a survey of Irish labour but this was lost when White died in 1940 and his papers disappeared. According to Leo Keohane, who researched White’s politics for a doctoral thesis, their intention was to “produce an anarchist’s perspective on Connolly’s ‘Labour in Irish History'”. As Hewetson noted: “Just how far back his personal memories went was illustrated by his anecdotes about old Edward Craig whom Mat knew at the end of his life, and who, in his early manhood had been the inspirer of the Owenite Commune at Ralahine in the years 1830-33”. James Connolly wrote about this in his Labour in Irish History. Ralahine is close to Newmarket-on-Fergus in Co. Clare. “During the Second World War Mat moved to Southend. Now in his sixties, he was interned under Regulation 18b with other members of the local anarchist group, the Independent Labour Party and pacifists, when Southend was declared a ‘danger area’ by the authorities. “Mat organised these together and demanded to see the Commandant of the internment camp. He requested that the anarchists, socialists and Jews interned there be separated from the Mosley fascists who had also been rounded up. Eventually the authorities backed down and released Mat and co, realising that the so-called anti-fascist war they were pursuing would be questioned if obvious anti-fascists were being imprisoned alongside fascists. “Mat contributed to the pages of Solidarity, the paper of the Anti-Parliamentary Communist Federation, which appeared from 1938 and continued throughout the Second World War. “Mat had to move up to London where he found work as a barber. He had worked most of his life on the building sites and advancing age had meant his seeking of alternative employment. Albert Meltzer, in his autobiography ‘I couldn’t paint golden angels’, tells us that he was not a very good barber, but had the honour of shaving George Orwell, who wrote him up in an article calling him a “an old Irish IRA (!) Anarchist hairdresser” who “used to cut my hair in Fleet Street”.